Offering same-day delivery allows you to stand out from the competition. It gives customers a good reason to choose you over all their other options. But how are you going to pull this off? Your organization must be extremely efficient if you’re going to receive an order, prepare it, and deliver it on the same day. Route optimization software makes same day delivery possible. Such software guarantees that every route you give your drivers is the most efficient route possible. Your drivers will have everything they need to make it to the customer on time. Same day delivery software eliminates this issue. To make a route, all you need to do is plug in your customers’ addresses, and your route will be ready in 30 seconds or less. And if you add or remove a few stops from the route, it’ll only take 30 seconds or less to re-optimize the route. 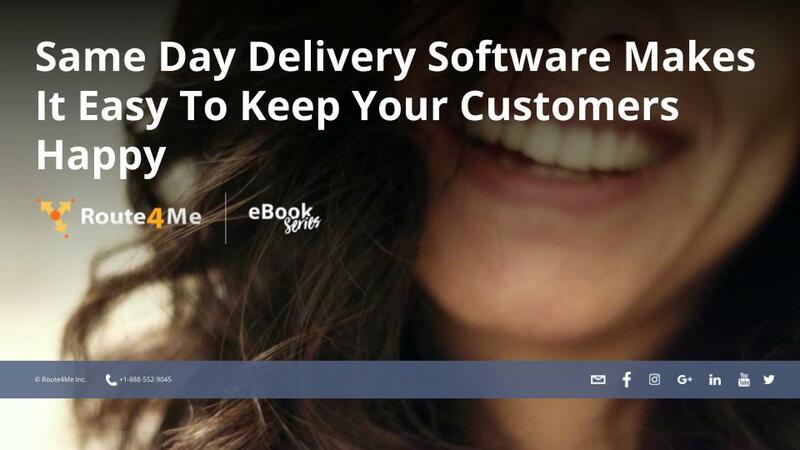 Same day delivery software has other features that will make your drivers more productive. For example, you can set it up so that your routes don’t have any left turns or U-turns. These types of turns are a huge waste of time and gas, as your drivers don’t have the right of way and need to wait for traffic to clear before they can go.